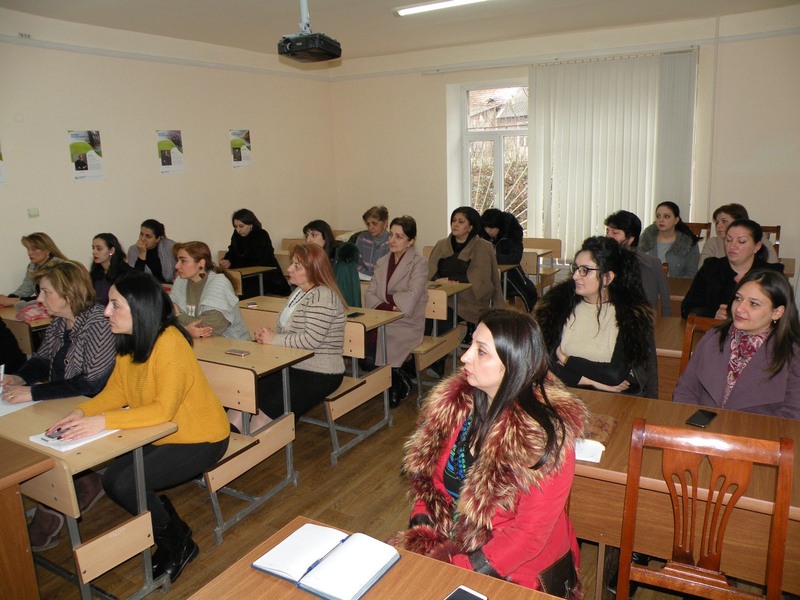 On January 17th,2019, YSU Ijevan branch hosted a class-discussion entitled “Combining theory and practice in the Educational Process”, organized by Transferring advanced teaching experience and Young Lecturers Support Center, conducted by YSUIB lecturer of the Department of Armenian Language and Literature, associate professor, PhD, Aida Sarhatyan. The discussion was attended by both young and experienced lecturers. 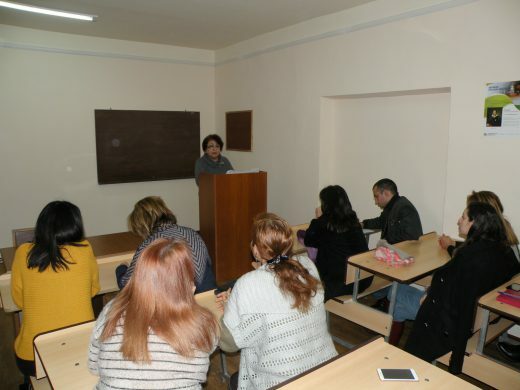 Mrs. A. Sarhatyan first presented to the participants the purpose of the discussion: to analyze, compare and evaluate theoretical and practical lessons with their advantages and disadvantages and clarify the scope of issues to be discussed. 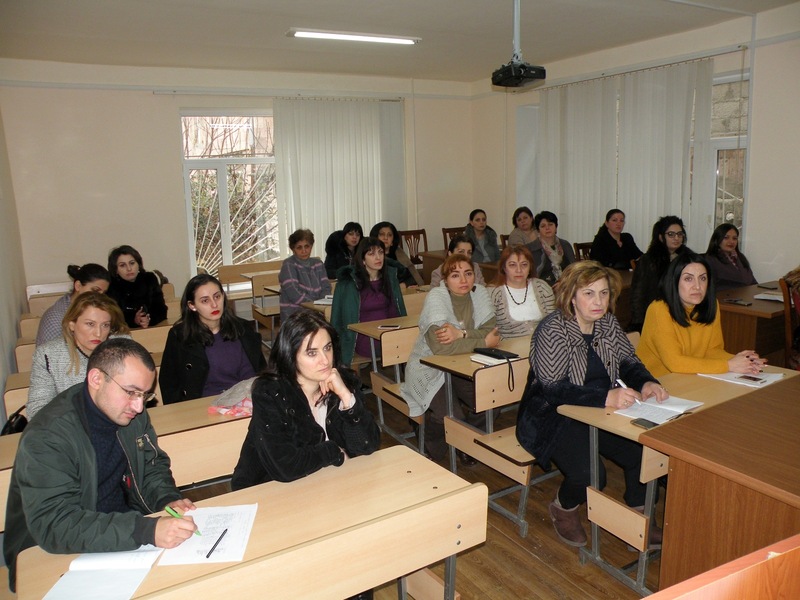 Particularly, it was mentioned that almost all subject courses have theoretical lectures, and practical hours. The lecture is followed by practice hours that have the primary goal of bringing the students from the passive, often indifferent attitudes to motivating, speaking, activating, and engaging in the classroom. Theoretical and practical classes are mutually interwoven: the theory becomes practically understandable, meaningful and reinforced in the memory of the student. 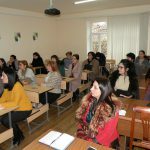 “There are no Chinese walls between the theory and the practice” and there should not be”- said Aida Sarhatyan. – Their elements can be used together, by applying practical means at the lecture hour, by applying practical clasess for explaining theory issue that is not understood and and vice versa. The acquired knowledge is not quickly forgotten, possibilities for memorization and plagiarism are excluded. 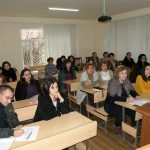 During the discussion, A. Sarhatyan and the participants of the discussion presented examples of a number of lessons, highlighted theory and practice comparison, as well as its wide and multifunctional capabilities.